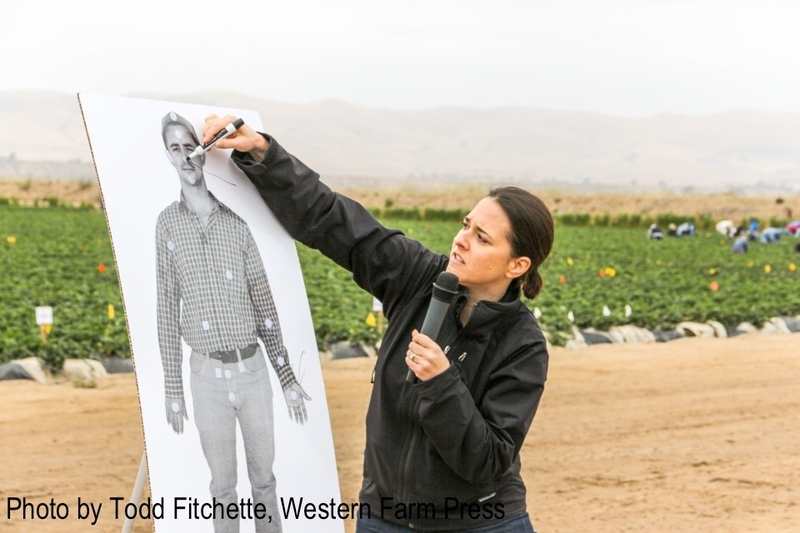 Registration is now open for the sixth Ventura County Spray Safe event. This year's keynote speaker will be Brian Leahy, director of the California Department of Pesticide Regulation. The event will be on Tuesday, March 20, in the Agriculture Building (Santa Cruz Hall) at the Ventura County Fairgrounds, 10 W. Harbor Blvd., Ventura. Spray Safe is intended to prevent pesticide-exposure incidents and improve communication among growers, agricultural chemical applicators and farm employees. Originally developed by a coalition of farmers, pest control advisers, applicators and labor contractors concerned about drift incidents in Kern County, the program is being embraced by growers throughout California as a way of better protecting the health and safety of farmers, field crews and neighboring residents. Since our inaugural Ventura County event in 2009, the program has grown steadily in popularity, more than 500 people attending each of the subsequent sessions. Attendees learn about pesticide safety, application technology, regulatory issues and other topics during a half-day program of guest speakers, demonstrations and breakout sessions. Simultaneous Spanish translation will be provided. The event is free, but advance registration is required. To register, you must download the form here, fill it out, and fax it to (805) 987-3874, or email it to spraysafe@farmbureauvc.com. The deadline is Tuesday, March 6. The Spray Safe planning committee could not make this event happen without the financial support of Ventura County's agricultural community. To offset the approximately $20,000 it costs to conduct each event, we rely on the generosity of farm owners, pesticide applicators and advisors, supplier representatives, and anyone concerned about the industry's future. According to the Centers for Disease Control and Prevention (CDC), poisoning is the number one cause of injury-related death in the United States, and 1073 people in California were poisoned by pesticides in 2014 alone. Each year since 1962, National Poison Prevention Week has taken place during the third week of March, to raise awareness about avoiding these tragedies. 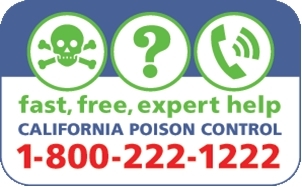 No one wants their workers or family members to experience illness or death from pesticide exposure, so the UC IPM Pesticide Safety Education Program (PSEP) would like to bring special attention to preventing pesticide poisoning this week. The program also published a new edition of The Safe and Effective Use of Pesticidesin 2016, which contains a wealth of pesticide safety and hazard prevention information for people who work with pesticides. Both agricultural and household pesticides can poison people if they are not properly handled. In agriculture, poisoning most often results from pesticide mixing and loading, and the most harm occurs due to spills, splashes and equipment failure. In the home, many pesticide poisoning incidents involve children swallowing pesticides, including garden products, disinfectant cleaners, or other chemicals used to control pests. One of the most important things you can do to prevent pesticide poisoning is to follow the instructions on the pesticide label. Labels address critical information about how to use a pesticide safely, including the kind of personal protective equipment (PPE) you should wear to prevent overexposure, how much of the product to apply, the minimum time you must wait to enter the area after applying the pesticide (the restricted entry interval), and the minimum time that must pass between application and harvest (preharvest interval). Labels also include important signal words such as “Danger,” “Warning,” or “Caution” that indicate how acutely toxic the chemical is to humans, as well as directions to avoid pesticide contamination of sensitive areas such as schools and hospitals. These instructions are meant to protect anyone who is at risk of being exposed to hazardous pesticide residues. It is essential to thoroughly read and understand the pesticide label before working with the pesticide, and to carefully comply with label instructions throughout the process. 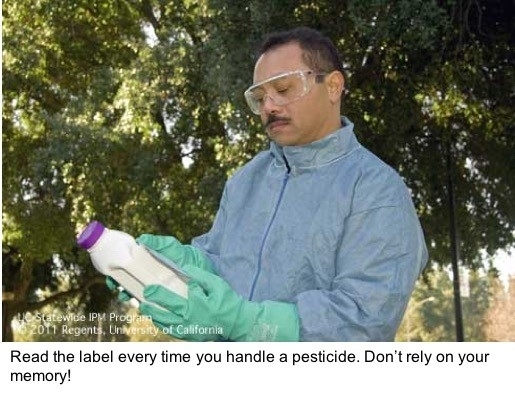 The UC IPM guide to Understanding Pesticide Labels for Making Proper Applications can help you do this, and is available in both English and Spanish. If you apply pesticides in or around your home, be sure to store them properly and keep them out of the reach of children. Keep in mind that even mothballs may look like candy to very young children. It is illegal and unsafe to store pesticides in food or drink containers, which can easily fool people into consuming them and being poisoned. According to the California Department of Pesticide Regulation, these mistakes caused 62 incidents of child poisoning from pesticide ingestion in California in 2014, and 47 of those cases involved children under six years of age. We are in the midst of a new and changing era of Worker Protection Standards (WPS). The U.S. Environmental Protection Agency (EPA) and the California Department of Pesticide Regulation (DPR) recently published the revised WPS, which is meant to increase protections for agricultural fieldworkers and pesticide handlers from pesticide exposure when they're working in farms, forests, nurseries and greenhouses. The changes are already affecting California agriculture! Additional training topics for fieldworkers and handlers have to be added to the curriculum.